The Hodgdon softball squad will receive a much-needed boost to its team from a pair of East Grand Vikings this spring. HODGDON, Maine — The Hodgdon softball squad will receive a much-needed boost to its team from a pair of East Grand Vikings this spring. 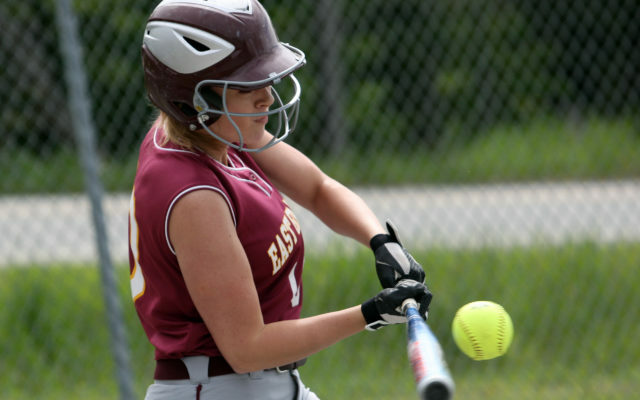 Thanks to an agreement between the two schools, East Grand’s Mallory Gilman and Jordyn Cowger will join the Hawks this season, when the team takes to the softball diamond starting April 23 (tentatively). East Grand did not have enough players to field a full softball team this spring. The baseball squad was also affected, so there will be no Viking ball clubs this spring. No East Grand baseball players expressed a desire to play for Hodgdon, according to school officials. The Vikings’ loss will be Hodgdon’s gain on the diamond as Gilman and Cowger will likely be two impact players for the Hawks this season. The two have been solid contributors for the Vikings for a number of years. The Hawk roster includes seniors Gilman and Kora Lambert; juniors Cowger, Autumn Ganzel and Martha Wilson; sophomores Erin Peters, Allie Winship, Mallory Williams and Serena Lufkin; and freshmen Kaelyn Lawlor, Delaney Little and Monique Polchies. The Hawks lost a whopping 10 seniors to graduation last year, seven of whom were starters. Hodgdon finished 2-12 last season and did not make the playoffs. Because there are so many new faces, Williams said it was hard to provide an outlook for the new year. As the season progresses, Williams said she hopes the girls will continue to grow as softball players and become more comfortable on the field both offensively and defensively. “This really is a whole new team for the first time in four years, so it will be nice to see them grow as a team and show how they can flourish in different aspects of the game,” the coach said. Getting outside to practice has proven exceedingly difficult again this spring as the Hawks softball field remains covered in snow. Overflow rooms were filled Monday at the State House complex as Mainers took turns providing testimony on Democrats’ biggest gun control push of the 2019 session — a revived “red flag” bill fought by gun-rights groups that still may have a compromise waiting in the wings. We hope that everyone will stop by the Forum this weekend, April 13 and 14, for the spring Trash and Treasure Show at The Forum in Presque Isle.